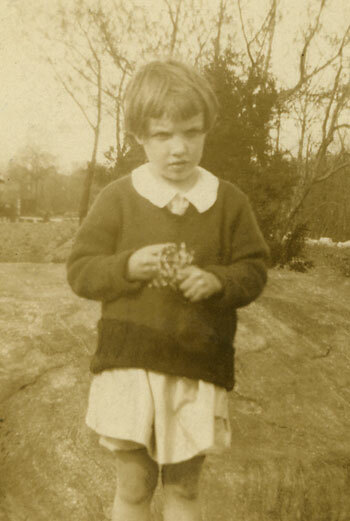 Elizabeth (Lillie) Walsh, the daughter of Joseph Walsh and Margaret (Maggie) Langan was born in New York City on May 10, 1896. For more information on the O'Neils see below. 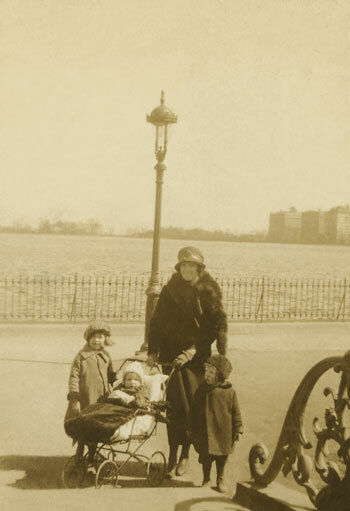 Elizabeth M Walsh of 202 East 73rd Street, age 20, born in NYC, father Joseph Walsh, mother, Margaret Langan, married Edward J O'Neil of 365 3rd Avenue, age 21, candy maker, born in NYC, mother Mary Walsh, father, John O'Neil on November 11, 1916. The witnesses were Mary F Walsh and Thomas Grau---thy (Graubothy?). Pastor's address was 869 Lexington Avenue. 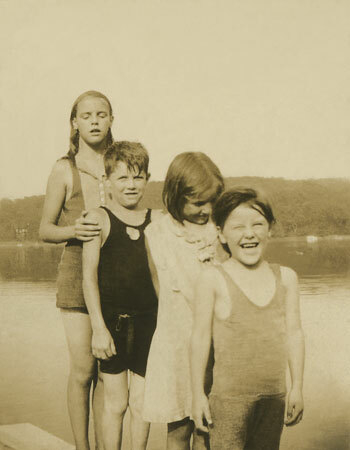 Mary Walsh was most likely Lillie's cousin, Mary, the daughter of Michael Walsh and Bridget Kallora born in 1896. 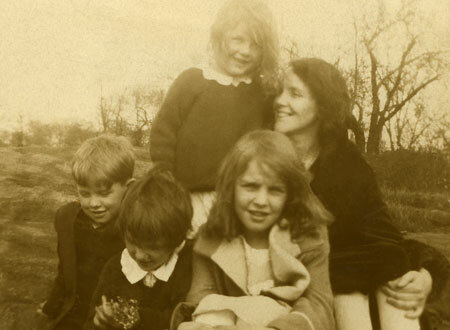 With the family in the 1940 census. Michael G. Donovan III, ID # 12760362, Army, Regular, SP4, E4, 13F20, born January 30, 1947, tour date, December 29, 1967, Casualty Date, January 21, 1968, age 20, Home, Central Islip, New York, Roman Catholic, Single, died from hostile fire, other explosive device, ground casualty, in Pleiku, Vietnam. His name is on the Vietnam War Memorial in Washington, D. C.
Information provided by Maria LaHiff Pedulla October 2005. Information on the children and grandchildren of Edward Donovan and Arelen Spinelli provided by Joan Cutillo January 2015. Length of Service: 6 years, wiper. Stanley R. Bialowarczuk, of Hicksville, died on July 20, 2004. He was a proud US Navy veteran of WWII. Stanley was a sailor aboard the USS Chicago which was attacked by Kamikaze and sunk. Beloved husband of Yolanda. Loving father of Anne Skyeski, Lori Hooper, Catherine Lada, Joanne D'Amelia, Joseph Saporito (Bernadette) and Vincent Saporito. 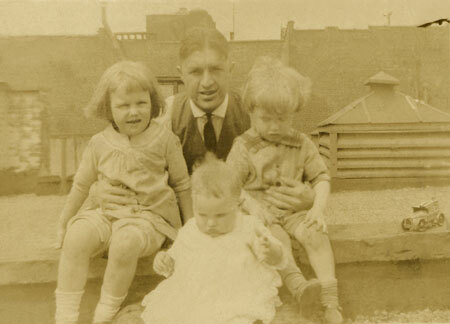 Devoted brother of John, Florence, Rose and Stella. Cherished grandfather of 10. The family was cared for by the Thomas F. Dalton Funeral Home, Hicksville Chapel. Mass at St. Ignatius RC Church. Interment Holy Rood Cemetery. 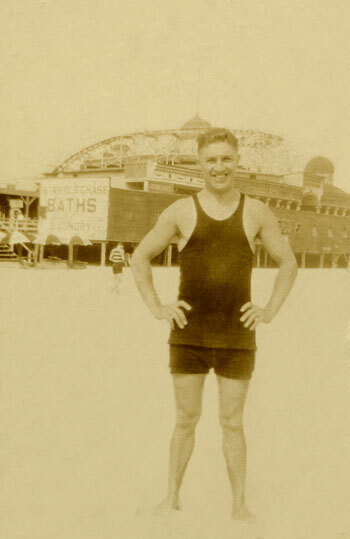 He was listed on the USS Chicago roster in 1942.
died on 2/6/2010 in Bellport, L.I. 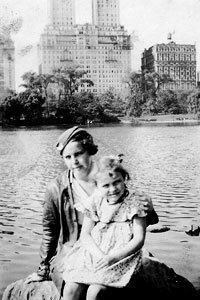 She married Stanley Bialowarczuk (b 3/28/1919 - d 7/20/2004. WW II Vet who was on the USS Chicago when it was hit by Kamikaze and sunk.) 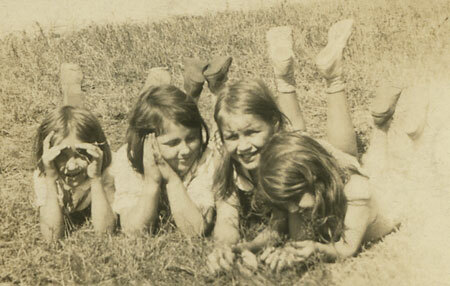 and had three daughters: Anne b 2/14/1945, Florence "Lori" b 5/28/1946, Catherine b 1/5/1948. They were divorced in 1965 and my mother never remarried. They had five grandchildren and ten great- grandchildren including one deceased. Note: They were listed next to and in the same building with Frank Langan age 32, lather and his family, Lilly 30, Walter 10 and Dorothy 30 days. 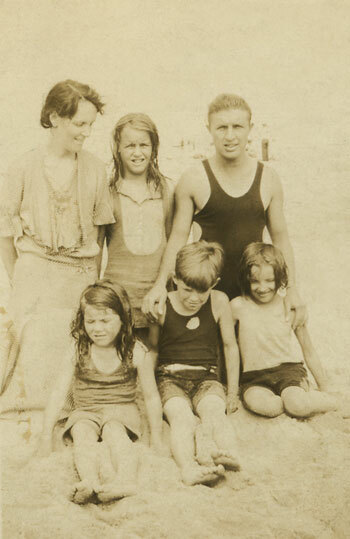 Frank Langan was the son of Pat Langan and Kate Hogan. See Pat Langan. Pat was the brother of Maggie Langan who married Joseph Walsh. Frank Langan and Elizabeth O'Neil were first cousins. 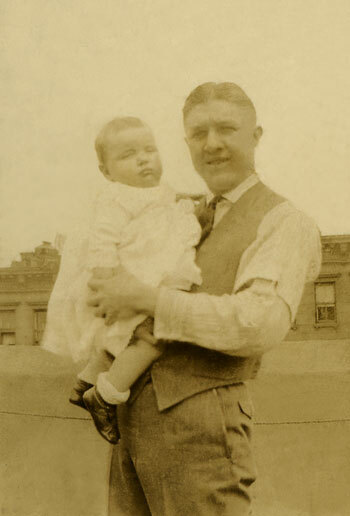 Elizabeth O'Neil, of 1255 3rd Avenue, Manhattan, married to Edward O'Neil, born, May 10, 1896, New York City, age 42, housewife, father, Joseph Walsh, born in Iowa (! 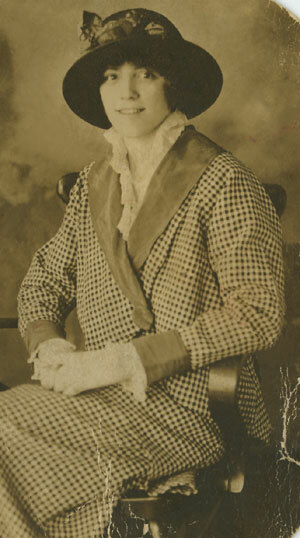 ), mother, Margaret Langan, born in Iowa (! ), died on October 11, 1938 about 3:15 A.M., at Flower Hospital, 1249 5th Avenue, she entered the hospital on October 10, 1938, cause of death, chronic nephritis with terminal uremia, contributory causes, catheia (?) anemia, pathologist report, Adrenal Atrophy, Addisons Desease, buried October 14, 1938 Calvery Cemetery, personal information provided by Edward J. O'Neil, husband. (New York Death Certificate #20472, 1938) Elizabeth was buried in the same grave with her parents and two brothers, both named Joseph. According to Anne Skyeski - October 2013 - Elizabeth (Lily) had Addisons's Disease and was hospitalized with kidney problems many times. 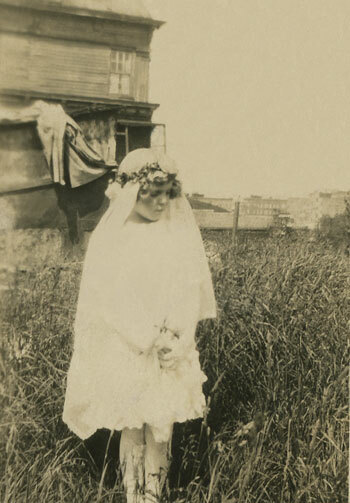 Married: Mary Louise Walsh (Born in Mallow, County Cork) on January 18, 1893 in St. Augustine's Church in the Bronx. Married: Edward Jerome O'Neil married Elizabeth Mary Walsh on November 11, 1916 in St. Vincent Ferrer Church, 67th Street and Lexington Avenue. See above. The following information was provided by Christine Eagan, based on handwritten notes made by her mother, Margaret (Peachy) O'Neal. I have added information where noted. Edward (Tootsie) He left the house one day and never returned. It is still a mystery as to what happened to him. It is unclear to me if Edward was called Toots and is the one who disappeared or if it is another son. Robert Paul (Daddy) April 23, 1918 - October 2, 2004. John Joseph February 20, 1920 - 1998? 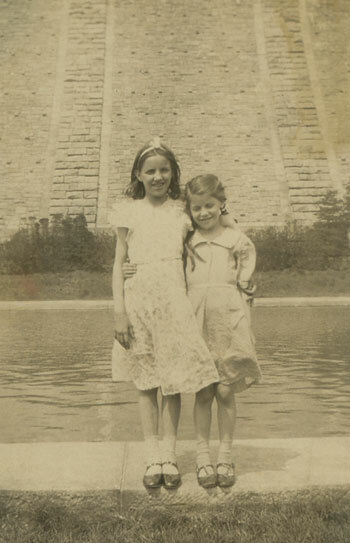 and Lucille - fraternal twins born in 1939 six weeks before their father died. Lucille passed away in the 70's I guess. Censuses: I can't find any of them. The following information was provided by Christine Eagan, based on handwritten notes made by her mother, Margaret (Peachy) O'Neal. I have added information where noted "MB". 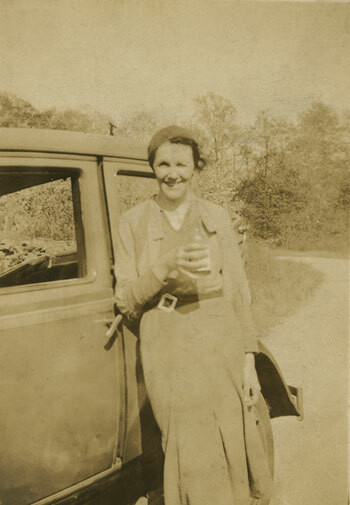 Birth: Catherine (Katie) b. August 12, 1898 or 99. D, 1970's? Note: I remember driving in Manhattan around 1959 or 1960 with my Father and he pointed at a man sitting on a box in front of a store. He told me that the man had been married to his grandmother. I could not figure out why my Dad called the man Frank and not Grandpa. It was a long time before I got the story straight. 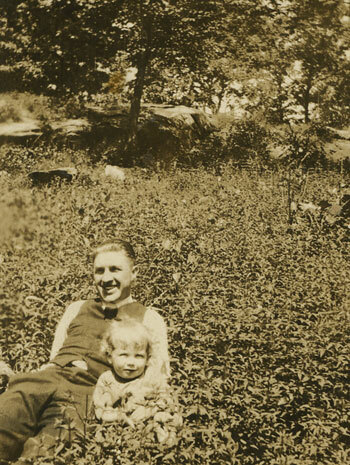 1917 WWI Draft Registration: 287 Ave B born April 7, 1894, USA, painter, Carry Painting Co, (can't read) City, married 5 feet 3 1/2 inches, medium build, blue eyes black hair. 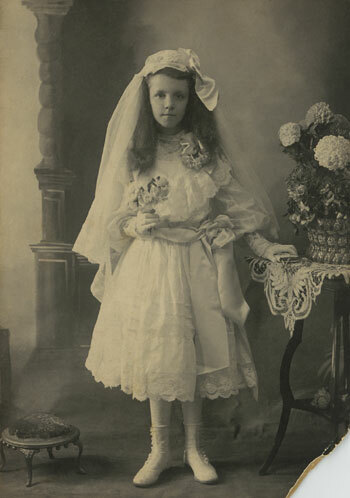 Lillie Walsh communion circa 1904/1906. I love this photo. 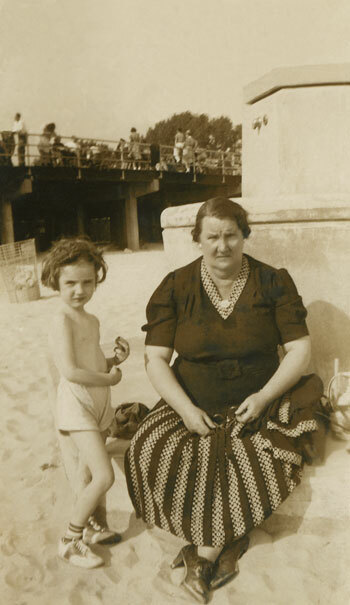 The contrasts between body types and appropriate clothing for a day at the beach are fabulous.